Regression is a statistical tool to estimate (or predict) the unknown values of one variable from known values of another variable. 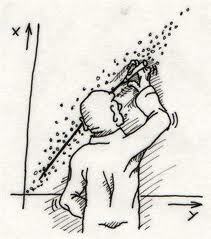 The regression analysis is a branch of statistical theory that is widely used in almost all the scientific disciplines. In economics it is the basic technique for measuring or estimating the relationship among economic variables that constitute the essence of economic theory and economic life.